CLIVE Palmer may have money again, but he has been more than happy to borrow other people's work as he promotes his rebadged political party. The controversial mining magnate has pinched another '80s pop hit - Culture Club's Karma Chameleon - in his latest promotion for the United Australia Party. Rebranded with the lyrics "Palmer Chameleon", the song appears in a free mobile game launched by Mr Palmer yesterday. It follows his ongoing battle with Twisted Sister, who claim he used their song We're Not Gonna Take It in his political ad without permission. The Courier-Mail also revealed last week his political party's constitution is largely copied from the LNP's document, with slight changes to give Mr Palmer and his family increased power over the organisation. 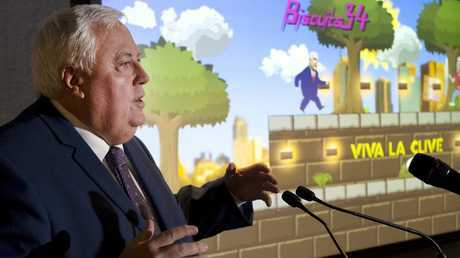 The game features an animated Mr Palmer collecting biscuits, which his press release referred to as Tim Tams, and jumping on Australian political figures. 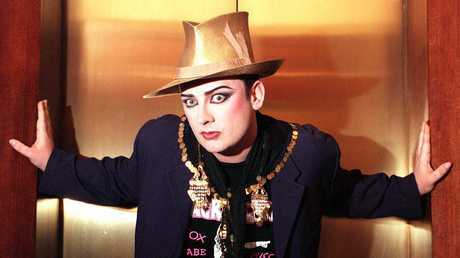 Asked whether Mr Palmer had sought permission to use the song, made famous by Boy George and Culture Club, a spokesman said it was a "parody, not relevant to copyright". Clive Palmer pinched Boy George‘s hit Karma Chameleon for the game. The Courier-Mail contacted record label BMG and game developer Emu Wars Games for comment. Twisted Sister frontman Dee Snider has said he would contact his legal team over Mr Palmer's use of their song, which Mr Palmer in turn claimed was a "rip-off" of the Christmas carol O Come, All Ye Faithful. Mr Palmer still faces court cases relating to the collapse of his company Queensland Nickel, which went into liquidation owing almost 800 workers more than $70 million in unpaid entitlements. He had denied wrongdoing. His finances improved after a court victory over a royalties dispute with his Chinese business rivals Citic in late 2017.